It's March! Woohooo! My son turns 8, this month. It's also that month of the year when I take stock of my journey into motherhood and how I am still faring. Nothing frightens me more than being totally responsible for the little life that I have been instrumental in giving birth to. He's a growing boy, on the verge of turning 8 and I am so happy for the person he is - positive, full of life, energy and amazing wit! The other thing is - I am not one of those perfect moms. What a relief! In fact, I don’t endorse the very concept of perfect moms raising perfect kids. I mean, what is that? Are we grooming robots or kids? With all respect, I have come across many ‘perfect parents’ kids. Those who learn to tie their shoe laces perfectly by the time they are three, those who are taught to distinguish between ‘designer’ clothes/toys versus the rubbish that the rest of us dole out as normal toys to our kids and those who eat four course meals without ever giving into the temptation of a hiccup, a burp or a speck on the table napkin. Unless they have an exclusive dynastic social network to grow in, they don't really "grow" in the real sense of the word. A big chunk of the ‘perfect parents’ kids are trained to be miniature models of their parents’ prejudiced social practices. I have certain friends who tell their kids not to play with children belonging to another religion because they will get 'wrong ideas, culture.' That is just one example. Snobbery is more rampant among parents than kids. Gradually they learn from us. While I was in school, there was a guy in my class who was everyone’s envy. Guess why? He would bring perfectly packed food (yes, the expensive silver foil type and the disposable plastic cutlery too!) that is ordered from a five star hotel. When we asked why he ate hotel food every day, he told us proudly his parents could afford it. It implied in a strange way that he was a cut above the rest. We would all be sharing our lunchboxes with one another and he would look at us with disgust as though we came from the land of savages. He would eat his food with impeccable manners and not offer to anyone. He had no friends, not because he didn’t share his food. But because he probably didn't know that it helps to share, to laugh and to have conversations with people sitting across the same desk. He tried to be a perfect adult and in the process, shut out any scope for friendship with kids of his age. Kids should mess up, feel the rain, the soil and have fun. Infection is something that we create with our thoughts. Playing outdoors, enjoying in the sun or walking through rain puddles - it's what makes kids strong and it helps their immunity too. We get our strength from exposure to the natural elements while we grow up. I grew up doing all of this – and I am so glad that I did. I see that most of my ‘properly brought up’ friends tend to catch infections far more easily than I do. A speck of dust on the ceiling is enough to trigger ‘dust’ allergy in them. Eating from a local dhaba can make them develop a stomach bug for weeks. In that sense, I am happier and stronger than the 'protected' kids. Let kids play free and fearlessly. And if they fall, they will know what to learn from it and what not to learn from it. Now I want to ask you this: What's your journey been like as a parent or as a growing individual? What are the essential mistakes that you believe most parents tend to make? It would be good to know why you believe they shouldn't or should do something to change it. Do share your views. Am waiting. Wow, Swapna! You are a beautiful mom, adi is blessed to have you. I echo your thoughts and i credit our valued upbringing for such thoughts. I told you, you were my soul sister. advance wishes to Adi, he will grow up to be a fine, intelligent,healthy, successful and a happy man. Just you wait and see him blossom. 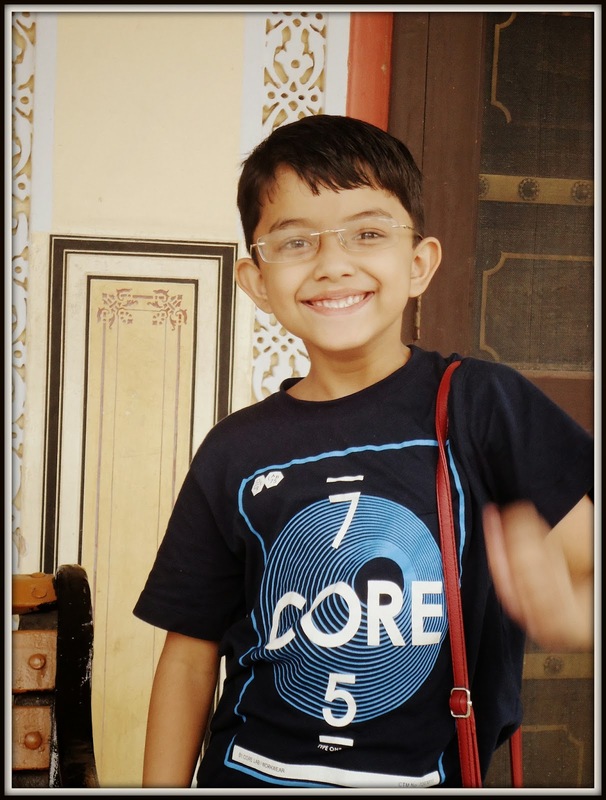 Regarding the answers to your queries, here is the link to the post that i wrote on jan 26th, my son's birthday. Hi Swapna - it's quite a challenge to be a parent and parenting comes with no rule books or guidelines leaving parents to best judgment and common sense. Unfortunately - this varies for most people:) Everyone has a different understanding of what is best for their child. I think one important thing that parents can do to help children is to realize that they don't "own" or "control" them and as you say towards the end of the post - give children the opportunity to be free and live fearlessly. 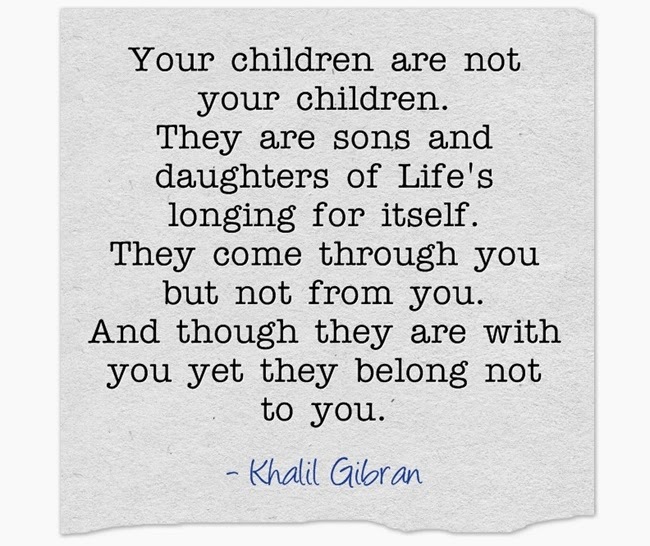 Many parents believe children are "theirs" when they are simply care-takers of these little souls in this lifetime. 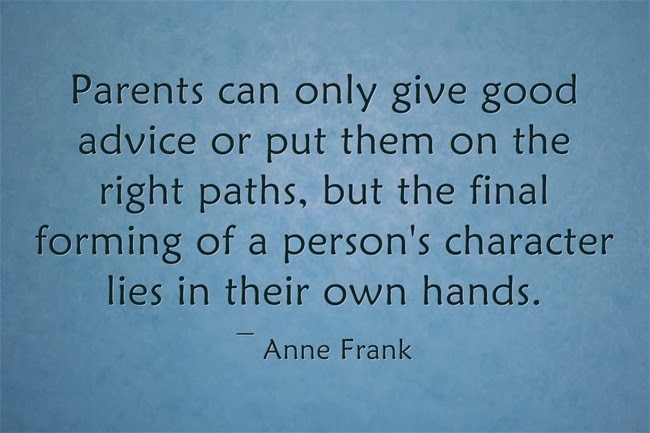 Of course without that realization, parents will do all the points you mention - snobbery, prejudice, perfectionism etc. Changing a mindset from controller to care-taker can help raise healthy and happy individuals who will contribute back to society. My 2 cents - what do you think? Well-written,could relate myself in many of your views.For those who think,they always have a choice my dear blessed soul,I agree. You know what ? I do recite to myself on a daily basis after having long conversation with my 8 year old-Yes,kids are not mere extensions of our life.They exist,they breath.Let them live for themselves...-This is what I can give her as a person,as a mother.Apart from lots of hugs and unconditional love.Not to forget,learning from HER. And yes,Adi has obviously grown up,with that infectious smile.Kudos to you.And Happy B'day in advance. Pleasure to read your thoughts as always. The post you cited is one of my favorite posts on your blog. I have read it several times. And yes, I agree - we are soul sisters:) Touchwood! Hi Vishnu, The most important point is what you have mentioned: parents have to realize that they don't "own" or "control" their children. That is something I, as a parent, feel strongly about. I have it at the back of my mind all the time. However, a niggling doubt does flash - what if I am wrong and the other parents are the ones who got it right? But that doubt is a fleeting one and I don't act on it or give it any attention. I go with my gut feel on these things. Changing the mindset is a very good point you mentioned.Increasingly relevant too. Simply put, grateful for the 2 cents you have shared here. Hi Melange, Your 8 year old is truly blessed to have a mom like you. The effort that you are obviously putting in with daily affirmations will have a positive, energizing ripple effect for sure. I too agree with that point you mentioned about learning from her.....in the journey of parenting, that is the one underestimated facet....we learn so much more than we think we give to our children. And thanks so much for the loving birthday wishes and kind words about Adi. Time flies and a part of me feels nostalgic for those baby years when I could watch his eyes, his smile and his expressions as though trying to put together a poetic mystery - those days just fly! Beautifully thought through and beautifully presented!